BYD, the Chinese electric vehicle giant, is putting up a challenge to the burgeoning European EV industry by launching battery production in Europe. 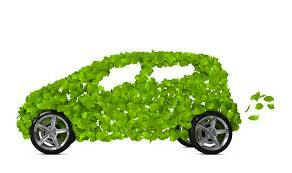 This could pose a threat to attempts by Brussels to develop Europe’s own green car industry. It follows on from the European Commission’s launching of an Alliance of local companies last year to build 10–20 huge battery factories. But so far, only Sweden’s Northvolt is building a lithium-ion battery factory in Europe, and other European manufacturers have struck deals with Asian suppliers in Hungary and Poland. Meanwhile, Germany’s BMW says it will not be involved in the European Battery Alliance, while Volkswagen says it is planning to buy batteries from LG Chem’s Polish factory due to open later in 2018. As yet, BYD has not confirmed where its European site might be based, but it is not the first Asian supplier to mount a challenge to Europe’s EV makers. Korea’s SK Innovation, Japan’s GS Yuasa Corp and China’s Contemporary Amperex Technology are also looking to establish plants in Europe. Meanwhile, South Korea’s LG Chem and Samsung SDI will both be opening factories in the near future, and China’s GSR Capital already produces battery cells at the UK plant it purchased from Nissan. Whether or not Europe is able to develop its own independent EV car industry, it seems this is the way the future is going. According to metal consultants CRU, electric and hybrid vehicles are expected to account for 30% of the global automotive market by 2030. Up to now, Europe’s carmakers have been relying on imported batteries from China, but if the Commission’s plans for a fully independent industry are to come to fruition, it is vital that in the future these are manufactured closer to home. The Commission’s plans have called for an investment of €110 million in battery research, with help for individual projects from a €2.7 billion EU innovation fund and the establishment of an EU ‘green battery’ trademark. Meanwhile, Tim Crockford, who manages Hermes Investment Management’s Impact Opportunities Fund, said he was more interested in European firms researching cathode technology, areas with major barriers to entry in terms of research and development.